Pinto Beans | Gotta Eat! 1. 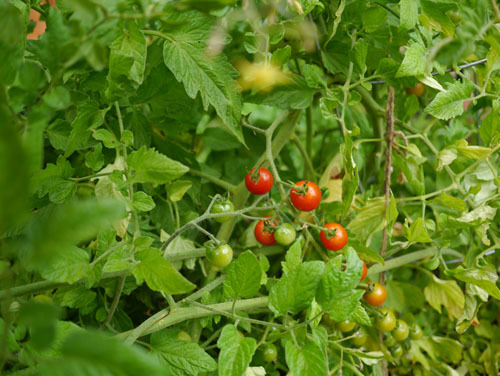 Gather vegetables from the garden. 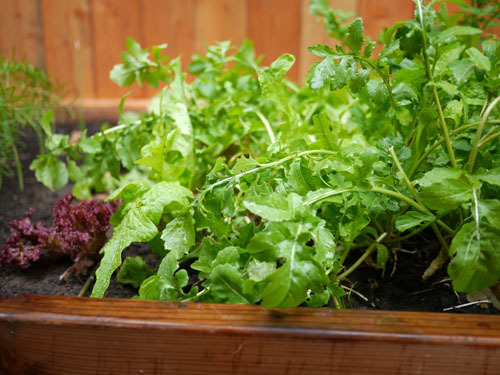 Clean and dry thoroughly in strainer or salad spinner. 2. 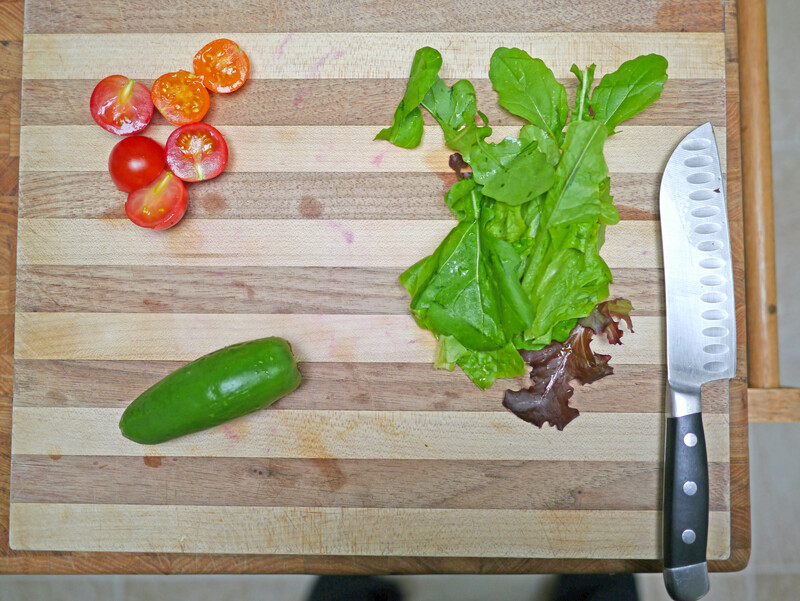 Slice & chop vegetables. 3. Place lettuce pieces on plate. 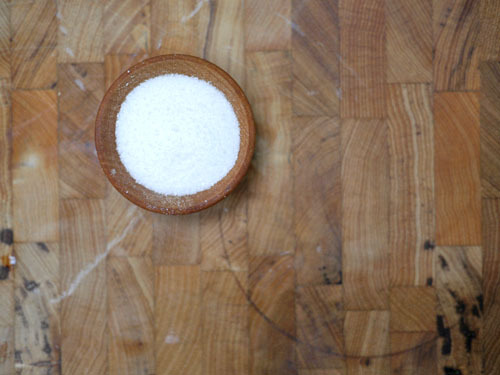 Lightly toss with a pinch of kosher salt. Add cherry tomatoes and drizzle a bit of olive oil over the top. 4. 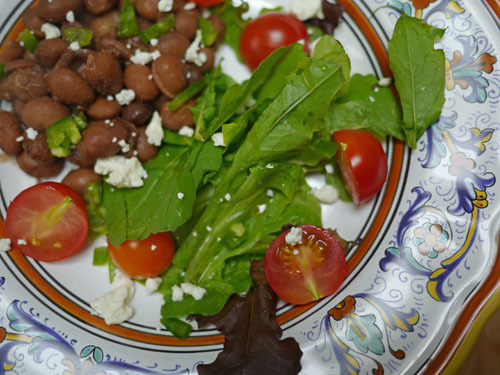 Place ~1/2 cup warmed beans (strained with slotted spoon) next to lettuce. 5. Add jalapeno over the top and sprinkle with cheese and black pepper. 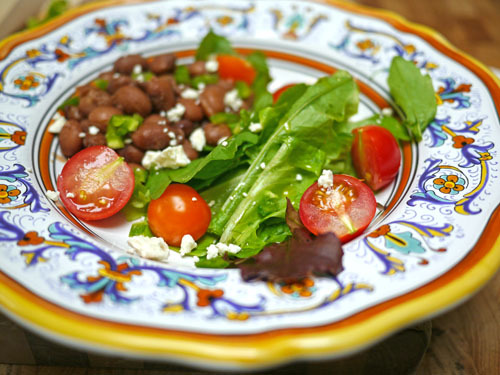 These Rio Zape Beans resemble pinto beans, but are larger and profoundly satisfying. A great element to have on hand for quick tacos or served with a green salad to add flavor and sustenance. 1. 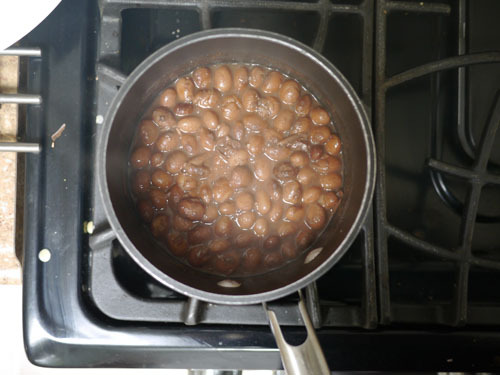 Place beans and soaking water into large saucepan. 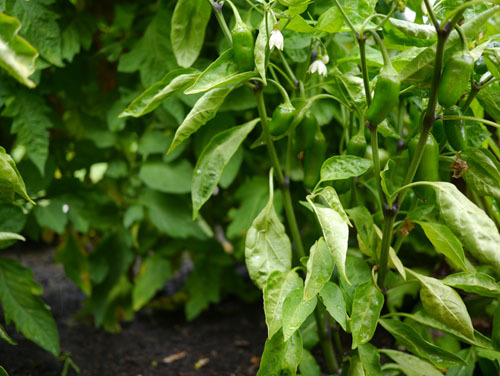 Add water if needed – the water level should be at least 1 inch above the top of the beans. 2. Add the onion, celery, carrot, garlic, bay leaf and parsley bouquet and bring to boil. 3. Reduce heat, cover and simmer one hour. 4. Remove the parsley sachet and celery, then add salt to taste and simmer for another 30 minutes to an hour, until the beans are completely tender. 5. Drain through a strainer set over a bowl, reserving the liquid. 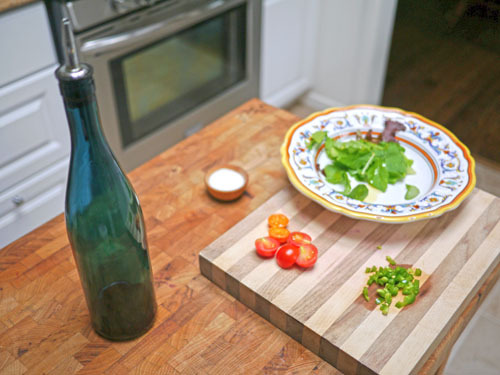 Remove the remaining vegetables and bay leaf and discard. 6. Adjust salt to taste, add pepper. 7. Serve warm in tacos embellished to your taste or along with a mixed green salad with freshly chopped parsley /or cilantro & feta /or cojita cheese. Notes: Beans will last for 3-4 days in the refrigerator. Store so they are just covered with some of the reserved liquid, which should be used to reheat them as needed. Save any additional reserved liquid in a canning jar – label/date and freeze for future use. Makes a fantastic “vegetable stock” for asian noodles or soup. 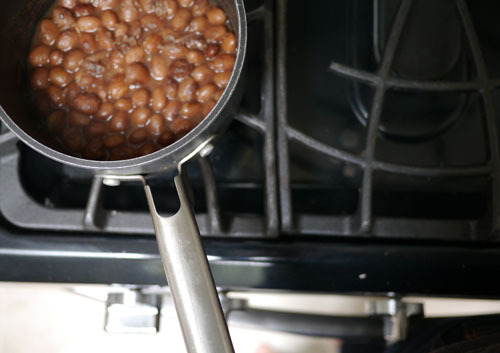 Cooked beans can also be frozen in liquid for future use.